Product categories of Pet Tent, we are specialized manufacturers from China, Pet Tent, Pet Camping Tent suppliers/factory, wholesale high-quality products of Pet House Tent R & D and manufacturing, we have the perfect after-sales service and technical support. Look forward to your cooperation! Pet Tent is a house for dog or cat's carrying and sleeping. Just need warm and breathable and weight light. People who love their pet treat their pet as one of their family member. Sometimes, a lot of pet owners carry their pet when they are traveling or camping. Even if your pet is an animal they have the right to sleep in a nice and comfortable place when you go camping. You cannot let your pet sleep outside your tent while you are sleeping comfortably. Animals like dogs want to sleep beside their master. Since pet cannot complain about their place, it is your main responsibility to keep them comfortable even outside your house. Some of them do not want to sleep in the spot you provided and seek for other place which is more comfortable and warm. You have to be sensitive on the needs of your pet because they cannot directly complain whenever they feel uncomfortable. If you want to give your pet the comfort that they deserve, you can purchase a pet tent as a gift for them. 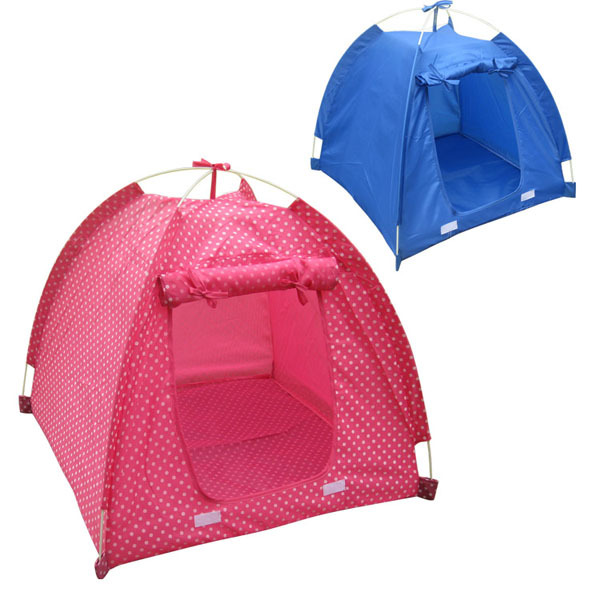 It is very useful because your pet can stay inside that tent during rainy season and during hot weather. Pet tents for dogs and feline can definitely protect them during extreme weather condition. It can give maximum comfort because of its removable liner and water resistant feature. Your pet can easily go outside whenever they want because it has a functional door and windows. Air can circulate inside the tent because of its wide window. It can also be use whenever you are traveling because the tent can be converted into a seat and travel blanket. So if you love your pet,just choose a tent for him or her from us.